As 2016 draws to a close it’s a good time to round up some recent developments in the battle against childhood obesity. It feels like momentum is building and we’re reminded of how important this work is by recent figures, revealing that by 11 years old one in three of our children are overweight or obese. Very overweight children face bullying, low self-esteem and school absence and we also know that that very overweight children are more likely to become overweight adults who go on to face serious illness because of it. 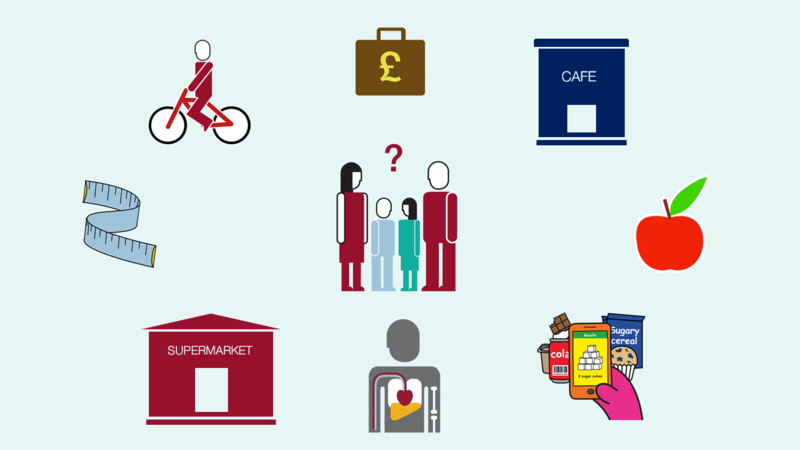 Our programme (part of the UK Government Childhood Obesity Plan) began formally in September and PHE has now completed an initial series of industry meetings to discuss reducing sugar in the nine categories of food that children get the most of their sugar from. Separate sessions covered yoghurt, breakfast cereals, biscuits, cakes and morning goods, puddings, ice-cream, sweet spreads, chocolate confectionery and sweet confectionery. We’re continuing to meet manufacturers, retailers and catering businesses and once these conclude in January we’ll publish a range of material and summaries of meetings. It’s encouraging to see early activity by the food industry and a number of businesses are already supporting this agenda. In recent weeks Tesco, Waitrose, Lucozade Ribena Suntory, Kellogg’s and General Mills have all made announcements committing to reducing sugar in some of their products. PHE was also encouraged by the NHS announcement on cutting sales of sugary drinks in hospitals. All of this activity shows an increasing understanding of the need to reduce calorie intakes and the risk of weight gain and obesity. This month the Treasury announced legislation to bring its Soft Drinks Industry Levy into law in April 2018. The levy, will require soft drinks companies to pay a charge for drinks with added sugar, and total sugar content of five grams or more per 100 millilitres. There is a higher charge for the drinks that contain eight grams or more per 100 millilitres. The Treasury has produced a useful guide if you need to know more. Also this month, the Committee for Advertising Practice announced new rules banning the advertising of high fat, salt or sugar food and drink to children up to age 16, up from 12, across all non-broadcast media including online and social media. This is encouraging to see, but the real test will be on whether it has any impact and if overall there is reduction in advertising that impacts children’s food and drink choices, preference and parents purchases, so we’ll be following developments closely. Findings of the first British Social Attitudes survey on obesity, commissioned by PHE, were published during December. The primary findings show that people underestimate their weight and struggle to identify the point when someone becomes obese. We know that almost two thirds of adults are overweight or obese and all of this combined suggests that being overweight is now normalised in society. Separately the Health Survey for England was published last week, with a finding that nine in ten mothers and eight in ten fathers of an overweight child described them as being about the right weight. It’s worrying to get this further confirmation that we underestimate the weight of our children as it makes addressing the current obesity crisis even more of a challenge. It also reinforces the need for everyone to take action – not just individual people or families - but society. If you want regular updates on our obesity work please do subscribe to this blog. Forthcoming topics include our “whole systems” obesity project with Leeds Beckett University and more information about how we, and our stakeholders and partners, can work with the ‘out of home’ sector to ensure they also are committed to making the food they provide healthier. What about the confectionery at the children's eye levels in the shops? Or the convenience shops which are just full of simple sugars, salt and fats in a pleasant packaging?